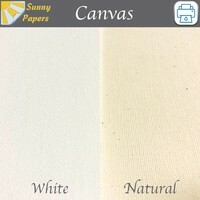 This high quality canvas is available in A4 and A3 size in both white coated as a natural version, suitable for all inkjet printers that can handle thicker media types. Available in A4 and A3 size in both white coated as a natural version. 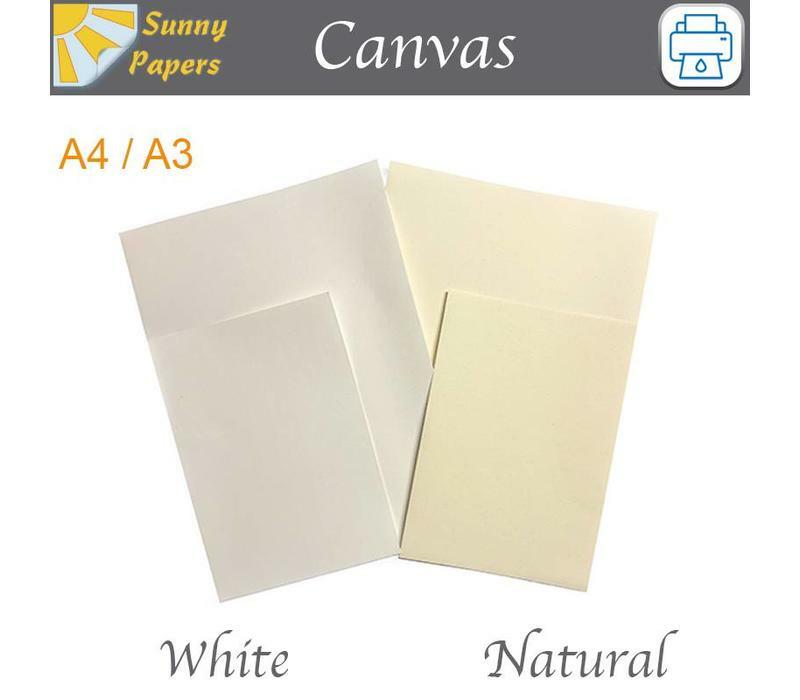 This is high quality canvas with a matte white coating, suitable for all inkjet printers that can handle thicker media types. It is to be used indoors and can be coated to protect against moisture and fading caused by UV-light. Applying a coat of varnish or lacquer will improve the colors making them more vibrant and gives a professional look. 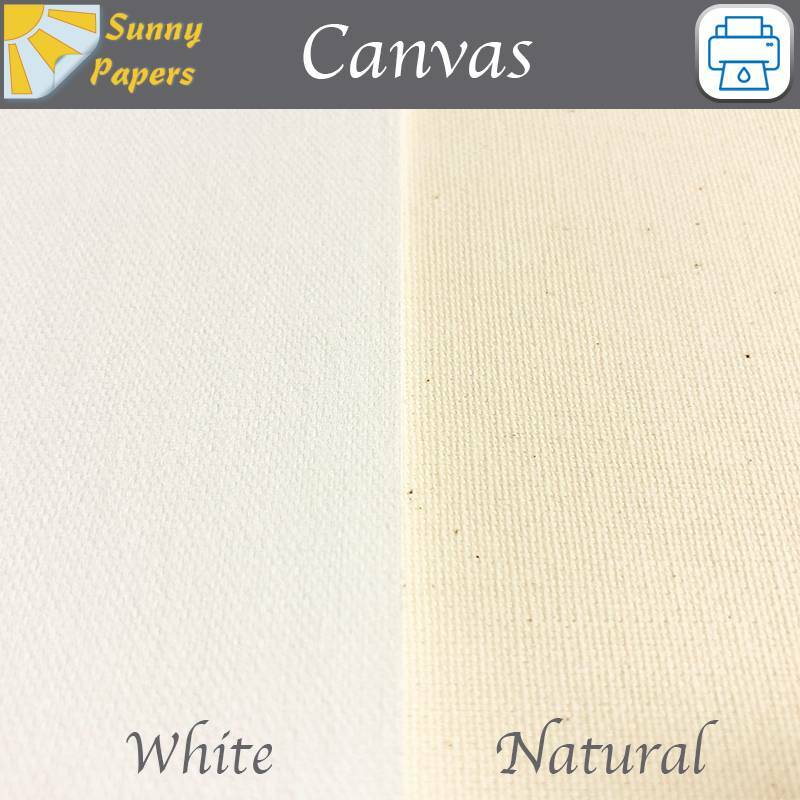 The canvas can be stretched onto a frame or stretcher bars, but can also be used for other application. 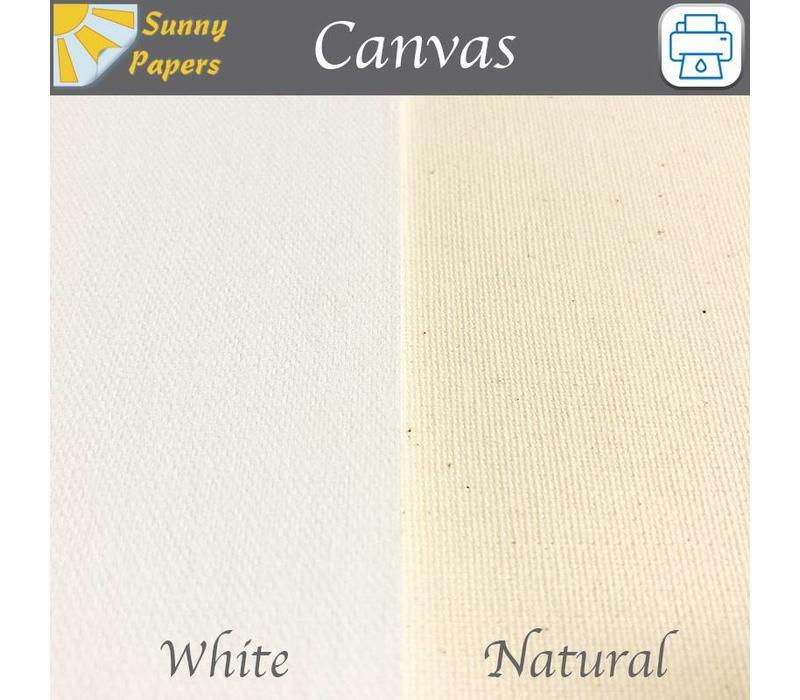 The sheets have a paper backing to improve feeding through the printer and preventing the canvas to fray. With paper backing the material is 305grams, without backing 210grams.